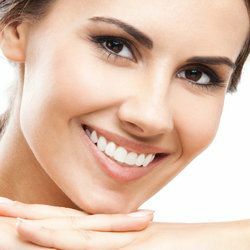 A good cosmetic dentist can help restore damaged teeth and mask aesthetic flaws. However, the best dentist is one who will take steps to help prevent dental problems in the first place. This involves a combination of proper hygiene at home and dental check-ups, both of which provide crucial preventative care practices. To help keep our patients in the Red Bank area healthy and educated, we offer the following tips on preventative hygiene and dentistry. Brush twice a day, every day: Your dentist may sound like a broken record when emphasizing brushing habits, but they are too important to neglect. Brush twice daily with fluoride toothpaste to reduce your chances of plaque building up. Bristles tend to wear out after about three months, so be sure to replace your brush multiple times a year. Also, try to avoid certain brushing habits that may damage your teeth or gums: do not exert too much pressure when brushing, and use a soft-bristled toothbrush. Don’t forget to floss: Keep in mind that a toothbrush cannot clean the sides of your teeth, where cavities commonly form. Flossing at least once a day is an excellent way to prevent plaque from building up between your teeth. For the best results, curve the floss like a “C” around each tooth as you gently move it up and down the gum line. Remember: if your gums are sensitive or begin to bleed during flossing, it is likely a symptom of gum disease and may warrant a talk with your dentist. Consider mouthwash: Patients who are especially vulnerable to tooth decay, such as those wearing braces or suffering from dry mouth, may want to use a mouthwash. Common ingredients in mouthwashes accepted by the American Dental Association are fluoride or chlorhexidine, but your dentist will be able to provide a suitable suggestion for you. Your teeth aren’t just affected by how you clean them - you also need to be mindful of your diet and similar lifestyle choices. The more sugar and acidic foods you consume, the more bacteria will eat away at your teeth. To that end, limit the amount of snacks and soft drinks you consume, especially between meals. On the other hand, fruits and vegetables that are high in fiber will help scrub your teeth while promoting salivation to cleanse your mouth. Smoking and tobacco use is another point to consider in the care of your teeth. Tobacco is a contributing factor to dry mouth, gum disease, and oral cancer. Cessation from tobacco will greatly reduce these risks, while also providing a boost to your overall health. By visiting your dentist for regular cleanings or expressing your concerns, you are taking a proactive step in your dental care. Through the technology and expertise of our dental practice, we are proud to help you take care of your teeth. Routine cleaning: A professional dental cleaning is an excellent way to eliminate plaque and tartar that have managed to accumulate, while the dentist can examine your teeth for any hints of decay or similar problems. Scaling and polishing will remove bacteria and help prevent further build-up, with fluoride treatments available for children or patients needing additional protection. X-rays: Your dentist will suggest intervals at which to get X-ray images of your teeth. This is an important step in the early detection and treatment of tooth decay. A small filling can help prevent cavities from growing and requiring more extensive procedures, such as dental crowns or implants. Oral appliances for sleep apnea: Patients with sleep apnea may also be at risk of certain complications, including a heart attack or stroke. Although these risks are relatively rare and vary from person to person, there are treatment options available. Your dentist can craft an oral appliance to be worn during sleep, which can alleviate the symptoms of sleep apnea and prevent further problems. Mouth guards: Contact sports pose distinct risks to a person’s health, including damage to teeth. A customized mouth guard is a more comfortable and effective way to protect one’s teeth than a store-bought brand. Ask us about the benefits of our PX3 Custom Mouthwear. We look forward to helping you take care of your teeth, both in our office and within the comfort of your home. If you are due for a cleaning or would like to share your dental concerns with us, contact our office to schedule an appointment.